We have already conducted a similar analysis of Cochrane RoB domain related to other RoB domains, and we found that judgments and supports for judgments in those domains were very inconsistent in Cochrane reviews [13–15]. 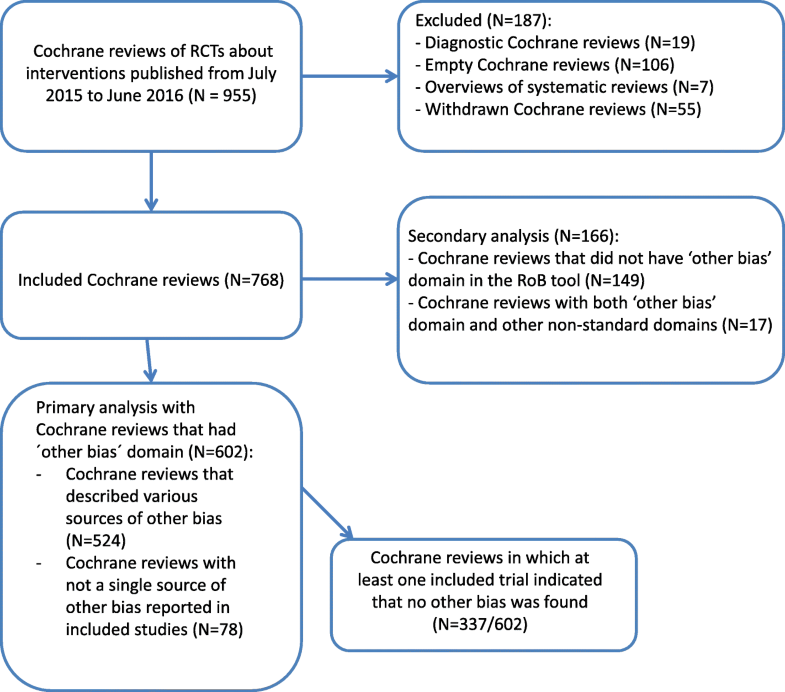 This analysis related to sources of other bias in Cochrane reviews contributes to the perception that Cochrane RoB tool is inconsistently used among Cochrane authors. The authors do not necessarily follow guidance from the Cochrane Handbook. In the support for judgment, they mention issues that the Cochrane Handbook explicitly warns against. Various comments that serve as supports for judgments were inconsistently judged across Cochrane reviews and trials included in those reviews. Cochrane authors also use inconsistent terminology to describe the same concepts. Increasing complexity of the RoB tool, as proposed in the RoB tool 2.0 will likely only increase this problem of insufficient consistency in RoB appraisal and worsen this problem of insufficient comparability of judgments of RoB across Cochrane reviews.